The natural position of the Jeep Wrangler transfer case is a direct target for that large rock out cropping potentially causing serious vehicle damage. Protect your Wranglers transfer case with a Rugged Ridge heavy duty Transfer Skid plate. This custom fit design is constructed of heavy duty 3/16 powder coat painted steel with a rust resistant E-coating. 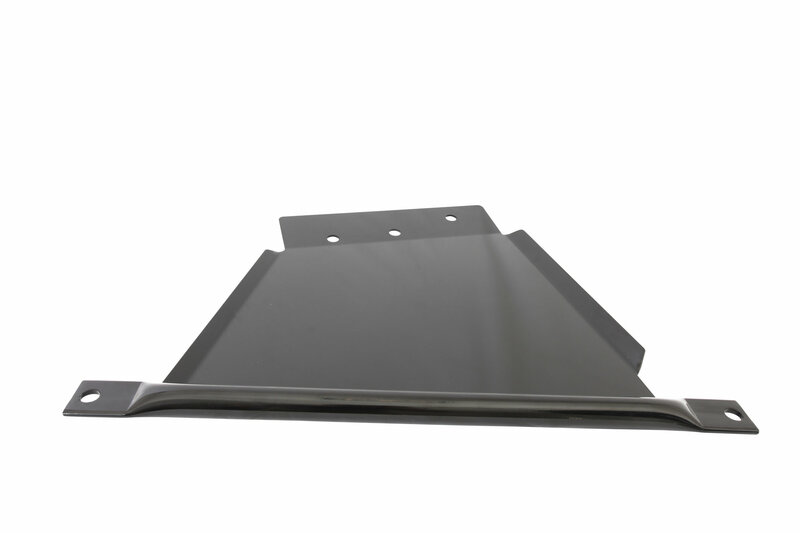 Designed to fit to factory mounting points, this skid plate is easy to install and has a low profile to keep ground clearance to a maximum. Dont get caught unprotected! Limited three year warranty against manufacturers defects.